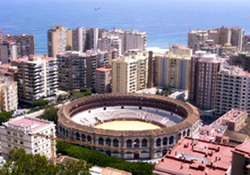 Alicanteis the capital city of the Alicante province in the Autonomous region of theValencian Community. Alicante is the 5thmost populated province in Spain with its population of over 1,700,000 people;the city of Alicante is home to about 320,000 of those inhabitants. Alicante, like the rest of the province, has2 official languages: Castellano (or traditional Spanish) and Valenciano,although the majority of people speak traditional Spanish. 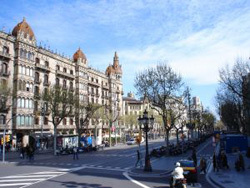 Barcelona, Spain’s second largest city, is located in the autonomous region of Catalonia. Itsits on the northeast coast of the peninsula, normally called Costa Brava. Barcelona is the capital of the province (which shares its name) as well as of Catalonia. The populationof the city is about 3,200,000. A uniquefact about Barcelona is the language; Catalan, also a Romantic language, is widely spokenthroughout the Catalonian region. Barcelona is one of the country’s main economic centers, partly due to it beinghome to one of the Mediterranean’s most major ports. Las Palmas de Gran Canaria is the capital of theGran Canaria island and of LasPalmas province, which makes up partof the whole Canary Islands, an autonomous community of Spain. The Canary Islands are an archipelago of sevenmajor islands (separated into two provinces) in the Atlantic Ocean. They are situated just west ofAfrica and tothe south of Spain. The entire Gran Canaria island has a population of over 802,000; almost379,000 of those inhabitants live in the capital. Las Palmas de Gran Canaria isthe biggest city of all in the Canary Islands. Leon, capital of the northern provinceof the same name, is of ideal size for a student with an urban population ofaround 200,000. This medieval city represents an excellent setting for acomplete linguistic-cultural immersion experience. While the city is animportant center of cultural tourism, its permanent foreign population isminimal, giving the foreign student plenty of opportunities to practice Spanishin daily life. Madrid is Spain’s capital and largestcity; it’s located in the center of the country making it a linking point withall other places in Spain. 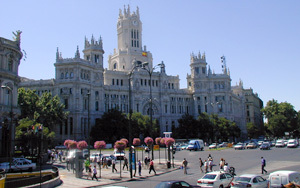 Madrid is regarded as a majorcity in the world due to its economic, political and cultural assets. Madrid is also recognized asthe financial capital of the entire Iberian Peninsula; it’s also home tothree of the world’s 100 largest companies. Asthe capital of Spain, Madrid is the home of theRoyal family and the seat of the national government. Malaga, although not the capital of the region of Andalucía, is often referred to asthe capital of Costa del Sol (Sunny Coast). Málaga is the largest coastal city in the South, with over 600,000inhabitants and over 1 million living within the metropolitan area. Málagaenjoys the Mediterranean climate with around 320 sunny days annually. The seabeing so close by helps control the hot summer days and the temperature in thewinter doesn’t drop too much below 13ºC (55ºF) because the mountains protectthe city. 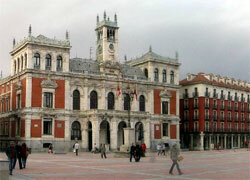 Salamanca is located in the province of Castilla y León, in the mid-western part of Spain. 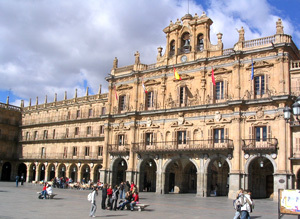 Thecity’s population is around 180,000 and although it is a smaller setting, Salamanca hasmuch to offer like a bigger city. Salamanca is renowned for being the home to the oldest university in all of Spain; it’salso among one of the oldest in Europe. This quaint city gets a lot of its modern culture and atmosphere fromthe University. When courses are in session, the streets are full of studentsand there are plenty of different cultural, exciting activities going on. Salamanca is alsoknown has being the home to, what some say, is the purest form of Spanish. 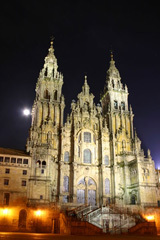 The capital of Spanish region Galicia is Santiagode Compostela. The city is located in the province of A Coruña and itis most famously known for being the home of the remains of St. James theApostle. The population of Santiago isrecorded to be about 93,000 inhabitants, but truer estimation would be closerto 130,000, including all the university students. The capital of Valladolid province in theCastile-Leon region, Valladolid is a medium-sized city of around 320,000inhabitants two hours to Madrid’s northwest. The city’s nucleus consists of ahistoric district, while its focus on industry over tourism has shapedValladolid’s present-day modern appearance. The city is characterized by an intensecultural life that has always been closely tied to its university. Along withthe advantages of modernity, Valladolid offers a significant cultural legacy ofmonuments, museums, gastronomy and history. The heart of Valladolid’s old quarters isthe 13th century main square (Plaza Mayor).Numerous historical buildings such as the Royal Palace, City Hall and thecity’s museum surround the square, which stands as a fine example of SpanishBaroque art and is said to be the first main square of its kind in Spain (thefamous city squares in Madrid and Salamanca used Valladolid’s Plaza Mayor as a model). Para estudiantes espa�oles que est�n buscando un curso para aprender ingl�s en el extranjero recomendamos la p�gina de Becas MEC donde puedes encontrar informaci�n sobre cursos de ingles en Inglaterra, EEUU, Irlanda, Malta y Australia.